Our curved leather magazine basket is an elegant and stylish design. Practical storage combined with good looks. 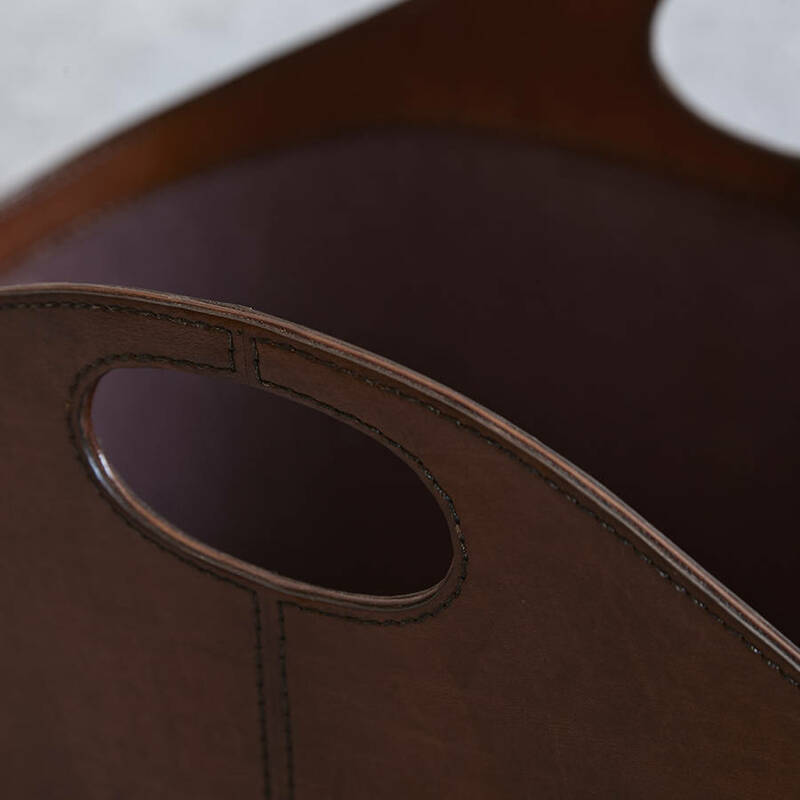 Double rows of stitching joins the panels of buffalo hide to create a smart feature of the leather storage basket. A robust cotton lining complements the rich colour of the leather. 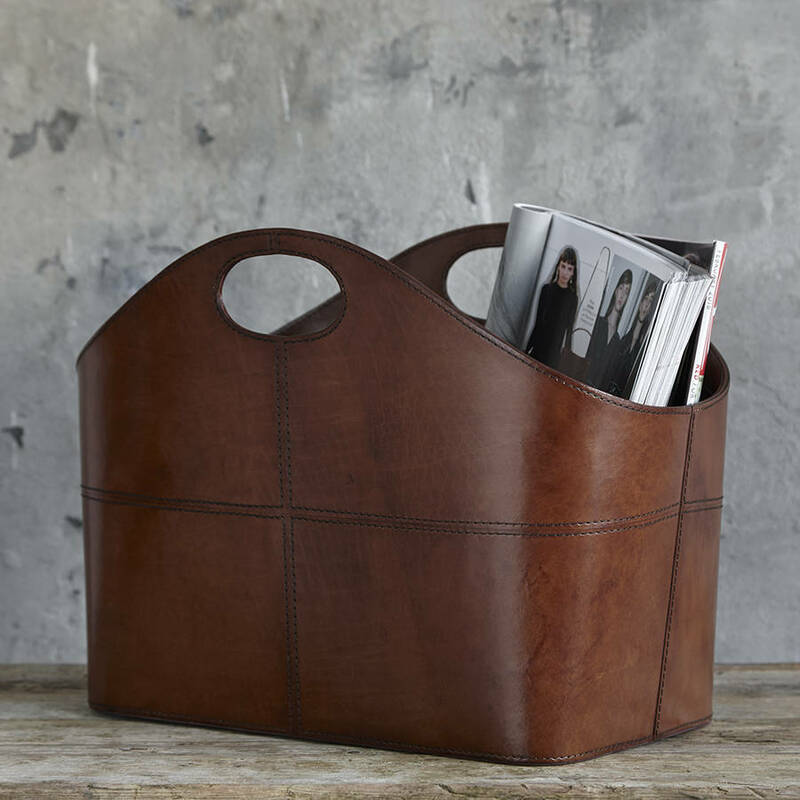 This basket will sit well in many rooms of the house, from the hall for hats and gloves, to the sitting room filled with newspapers and magazines, to storing an essential readling list by the bedside. The leather basket makes a superb gift for a housewarming, a gift for a couple on occassion of their thrird wedding anniversary or wedding day. Please provide a mobile phone number at checkout to receive delivery tracking updates. Please be aware this curved basket is made from natural materials and is hand crafted, as such there will be slight variations in colour, texture and markings which we believe adds to the item's beauty and individual character. Approx W20 X L36 X H20cm at lowest point of basket. This product is dispatched to you by Life of Riley.